Who would not like to visit the most famous sight of the city during their stay in Rome and if possible without queues and crowds? 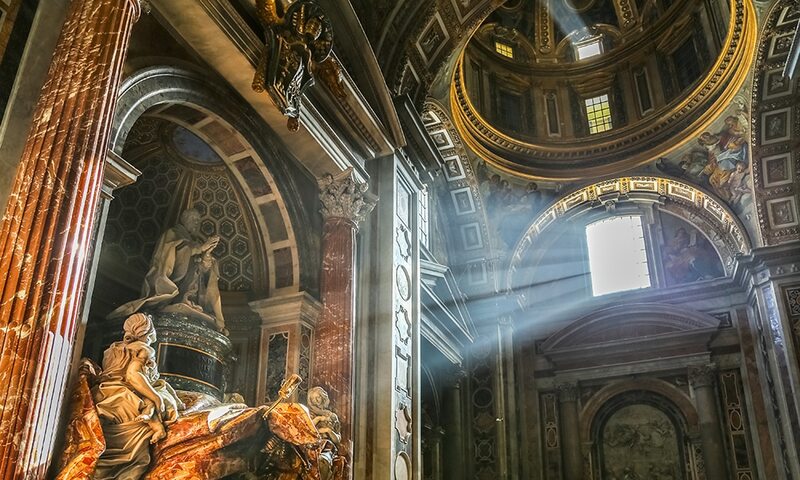 Even if you are on vacation: spend a day earlier to experience something unique: the mood in St. Peter’s Square in the early morning, the sunrise on the dome of St. Peter’s Basilica and the countless art treasures and sights in the church. When you see the kilometer-long queue at St. Peter’s Basilica at the end of the tour, you can return to the hotel with a satisfied smile for a little nap. 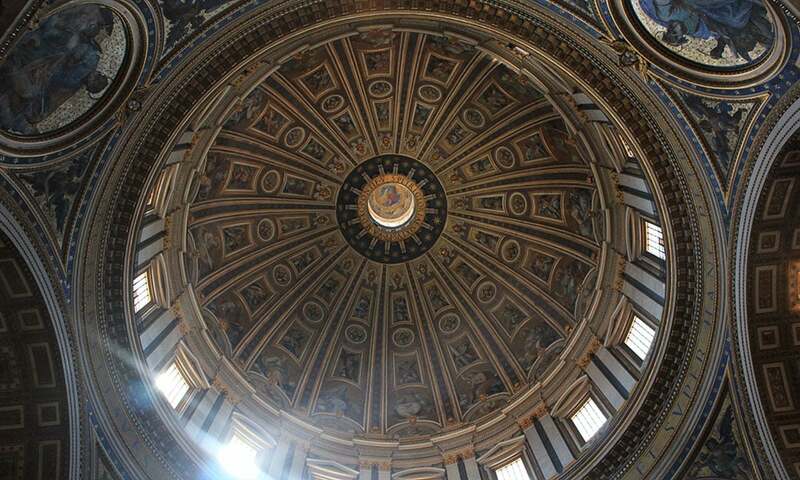 The dome of St. Peter’s Basilica, designed by Michelangelo in 1546, is one of the largest domes in the world with a diameter of 41.50 meters. The more impressive it is when you can experience these dimensions first hand as you ascend to the top of St. Peter’s Basilica. With the elevator you can easily reach the dome interior.  From there, there are another 320 steps through the dome shells to the lantern, from where you can expect a breathtaking view of Rome’s most famous sights. 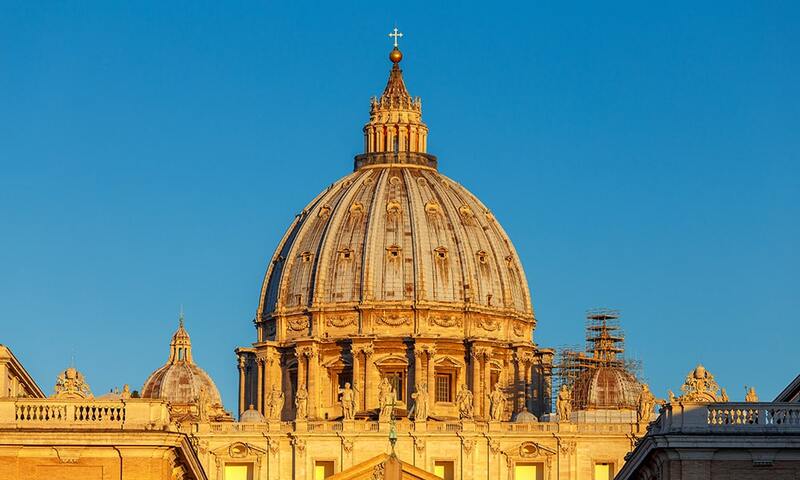 If you look at St. Peter’s Basilica from its sights, you could call it a museum. Without a guide to the most important works of art, you could easily lose yourself in the immense rooms. During the guided tour, you will visit: the Porta Santa (Holy Door), the porphyry plate on which the coronation of Emperor Charlemagne took place in 800, the tombs of Pope John Paul II, Pope John XXIII, Pope Paul I (who was allegedly poisoned after nearly 30 days) and the ornate tombs of Pope Gregory XIII. and Pope Alexander VII. In addition: the pietà of Michelangelo, the canopy Bernini, the bronze statue and of course the tomb of Peter. Why does the city tour take place at dawn? For whom is this leadership suitable? 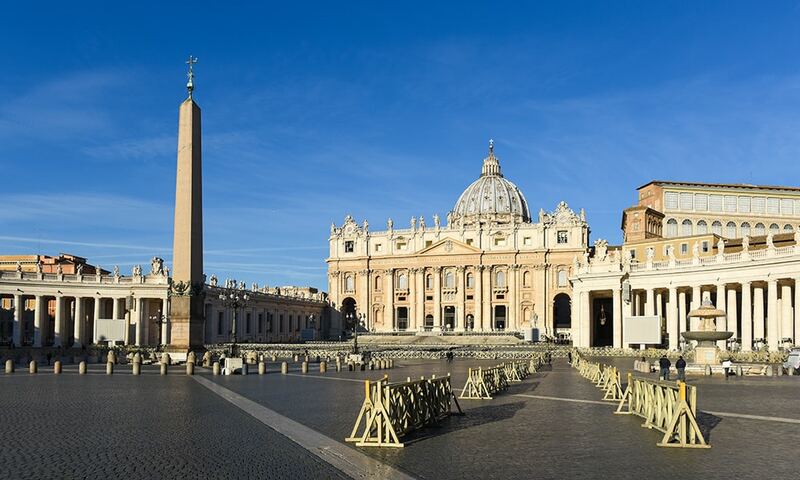 The tour takes place in the early morning, as it gives you the opportunity to get to St. Peter’s Basilica and the dome without queuing. Moreover, enjoying this architectural masterpiece almost exclusively is a completely different experience. The guide is suitable for everyone. The exception is people with vertigo or severe claustrophobia. How much is the ticket for St. Peter’s? What does “private” leadership mean? Private leadership means that only you and no other people participate in the leadership. How much does this tour cost and how long does it take? The tour takes about 2.5 hours. May I take pictures during the guided tour in St. Peter’s Basilica? 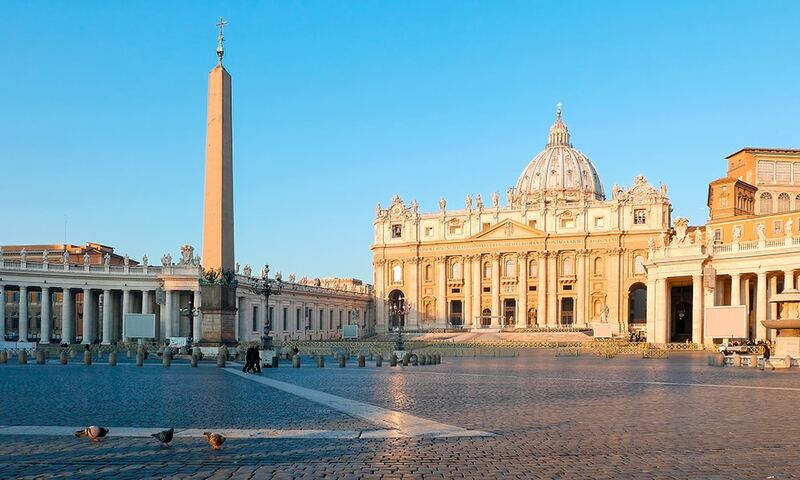 Does Romamirabilia also offer other guided tours of St. Peter’s Basilica? 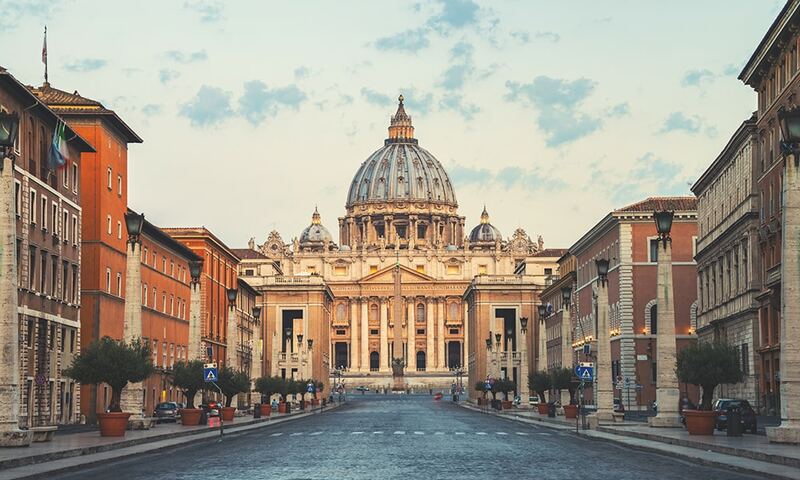 If you prefer to visit St. Peter’s Basilica without queues at a different time of the day, we recommend our guided visit to the Vatican Museums with Sistine Chapel.